How handy to you think you are? Do you have a DIY attitude and really love to do things around the house? 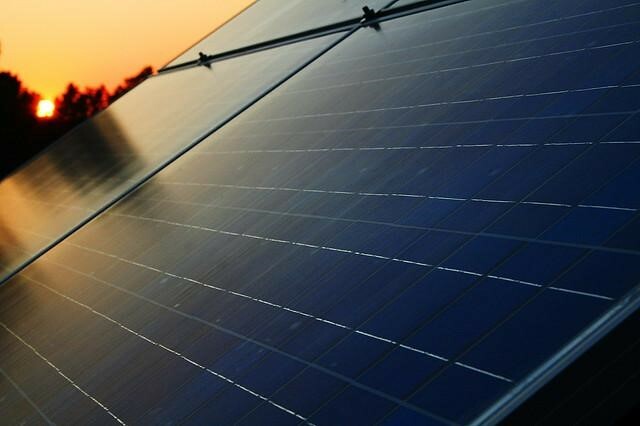 While that’s great, and it might be perfectly feasible to install new cabinets or new flooring, there’s a difference between turning a few screws and working with photovoltaic solar panels and connecting them properly to the grid and to your home. Most people should put the idea of installing their own panels on the shelf and simply hire the professionals for the job. First, are you sure that your home is actually a good candidate for solar panels? Professionals have the experience needed to ensure that you are getting the right system for your property, and to ensure that the panels will work to gather plenty of sunlight through the day. For example, homes that are partially in the shade most of the day will need to have their panels facing the area that gets the most sun to make the best use of them. Professional installers know how to work with different size and shape roofs, and they have the skills to work around any of the problems that your roof might pose. The installers will also know the building codes in your area, which could affect what you can do with your property. You would not want to go through the trouble of putting up your own solar panels only to find out that you went against the building codes and will need to remove them. Installers are also typically faster at the installation process. There is no guesswork with what they are doing. They know exactly the steps they need to take. This means you could be up and running with a new solar system far faster than you might imagine. Of course, one of the most important reasons to choose to work with a professional is simply because they can do the job right the first time. Consider just how much extra it might cost if you were to try installing your own and damaged some of the panels. You do not want to run that risk no matter how much you may believe you know what you are doing. These are some of the biggest and most important reasons that you will want to use a professional installer for your panels. Do not make the mistake of going the DIY route, as it could end up costing you far more than you realize in the end. Adding solar panels provides you with a number of benefits. It helps to reduce, or entirely eliminate in some cases, the money spend on traditional power, and those savings are always nice. Even though you still have the payment for the solar power system, the cost is still substantially less than traditional power in most cases. It also happens to be a good way to go green and reduce your footprint on the environment. Other savings are also available in Louisiana for those who decide that they should install solar panels. Residences will actually receive rebates of 50% of the first $25,000, for the cost of each purchased system. Those who lease will receive a 38% reduction. From incentives to tax rebates, people are finding plenty of financial reasons to start going solar. As more and more people do this, it will start to become the norm, and people will be looking for it when they buy homes. Adding a system now could be a good way to help keep the value of your home higher in the coming years.